Thanks to James Eichele for finding that the labels for resistors R1 and R2 were reversed, along with the labels for capacitors C3 and C4. 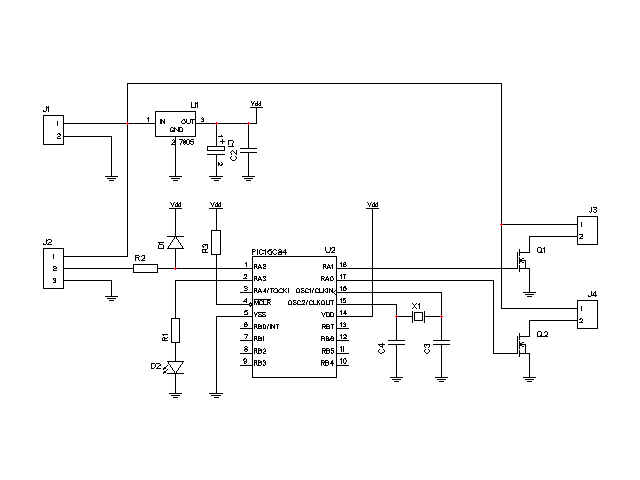 He submitted schematic changes, which are effective below. 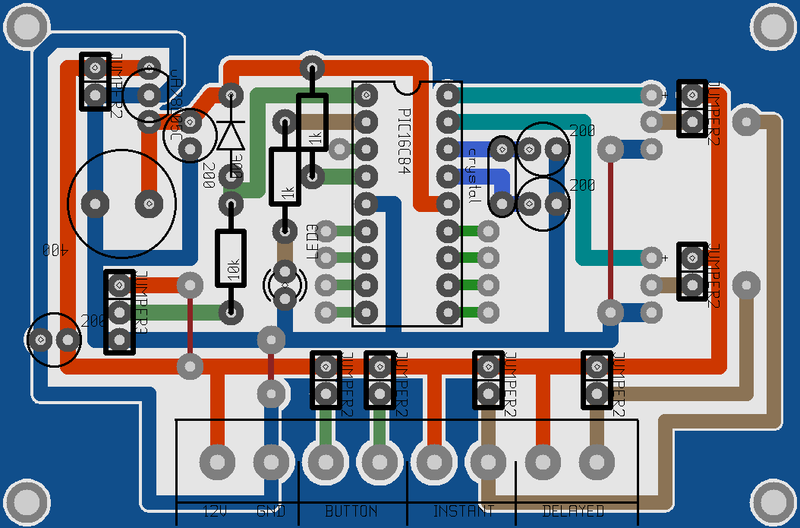 A layout for a 5cm wide PCB was created. 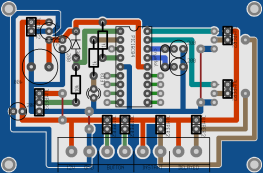 No component designators on this version, and there is copper to the board edge. 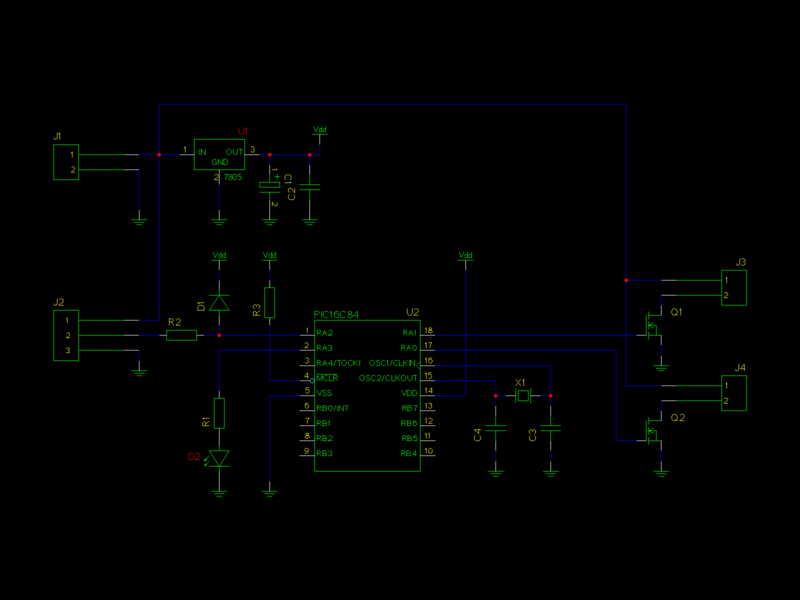 A microcontroller circuit for interfacing a passive infra-red motion detector to a set of room lights.